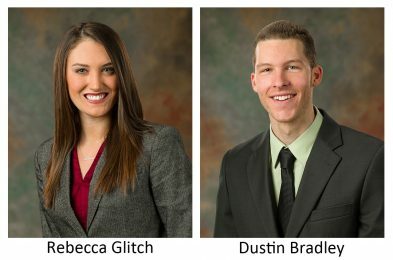 The addition of both Rebecca and Dustin to the ownership team will allow them to bring their leadership and experience to the management of the firm. This in turn makes BME a stronger firm and improves our ability to provide quality management to both the company and our clients. Rebecca Glitch has over 5 years of experience in Site Design and is an active member and Secretary of the Society of Women Engineers, Rochester Section, and holds the position of Collegiate Section Counselor, providing mentorship and networking opportunities for local colleges. Rebecca joined the firm in 2013. Dustin Bradley, CFM, has 5 years of experience in Environmental Services with a focus on Wetland Services, and is relied on for his technology skills and building relationships with State and Federal Agencies. Dustin joined the firm in 2014. Both individuals exemplify the leadership qualities of BME and are a welcome addition to the ownership group.